The Fraxel® re:store DUAL is a non-ablative laser which offers a gentle and effective alternative to ablative laser skin resurfacing. Fraxel® has uniquely received FDA clearance for the treatment of melasma, acne scars, surgical scars, periorbital wrinkles (crows feet), resurfacing, brown spots from sun damage, and actinic keratoses. Fraxel® fractional laser resurfacing can improve skin texture, refine enlarged pores and stimulate collagen synthesis, aiming to give the skin a renewed and vibrant appearance. Now celebrating more than 10 years of innovation and development, Fraxel® is offered in over 80 countries by more than 2,500 physician specialists. With an exceptional reputation, Fraxel® is often the choice resurfacing laser around the globe. Learn more about Fraxel and view our Fraxel Diary on our blog. 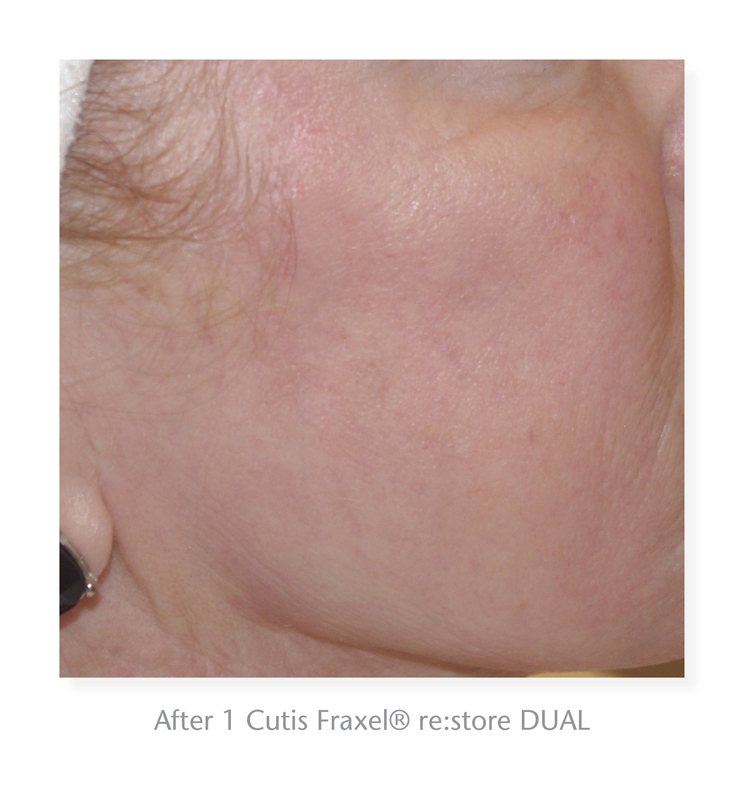 A professional consultation with a Cutis health professional will ascertain if a Fraxel® re:store DUAL treatment is right for you. A series of treatments is recommended for optimal outcomes with the option of annual maintenance treatments. Treatment sessions require 60-90 minutes depending on the treatment area. Commonly treated areas include the face, neck, chest and hands. Avoiding prolonged sun exposure before, during and after your treatment series and applying sun protection throughout the day is vital to maintaining your fractional laser resurfacing results. Immediately post treatment, the skin feels and looks somewhat like a sunburn, with mild redness and swelling accompanied by skin flaking from approximately days three through five. The skin may not be socially presentable for a period of 4-5 days however, Cutis offers medical grade mineral cosmetics which can be applied post treatment to cover and calm facial redness. 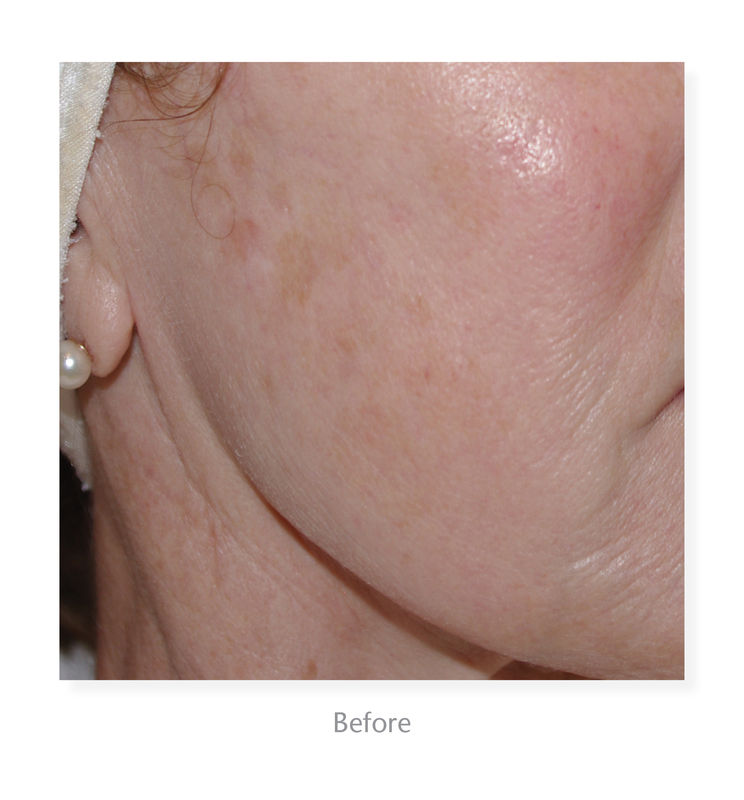 Each Fraxel® treatment offers quick improvements to skin texture, tone and pigment irregularities with prolonged improvements to skin firmness and scars over 4-6 months. Fraxel® fractional laser technology targets millions of micro treatment zones of skin leaving the immediately surrounding tissues untreated for rapid healing. By leaving the surface layer of the skin intact, safety is highest among resurfacing laser options. Each fractionated treatment zone eliminates damaged cells while the healthy tissue is regenerated.